Interactive Optical Illusions - 11 Hidden Faces. 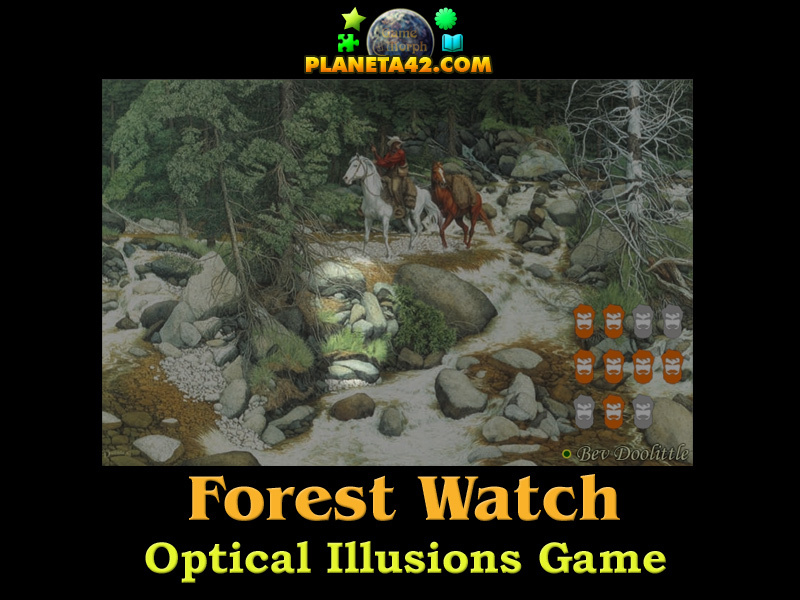 "The Forest Has Eyes" is a free online psychology game to explore and study cognitive optical illusions by interaction with assumptions about the world. 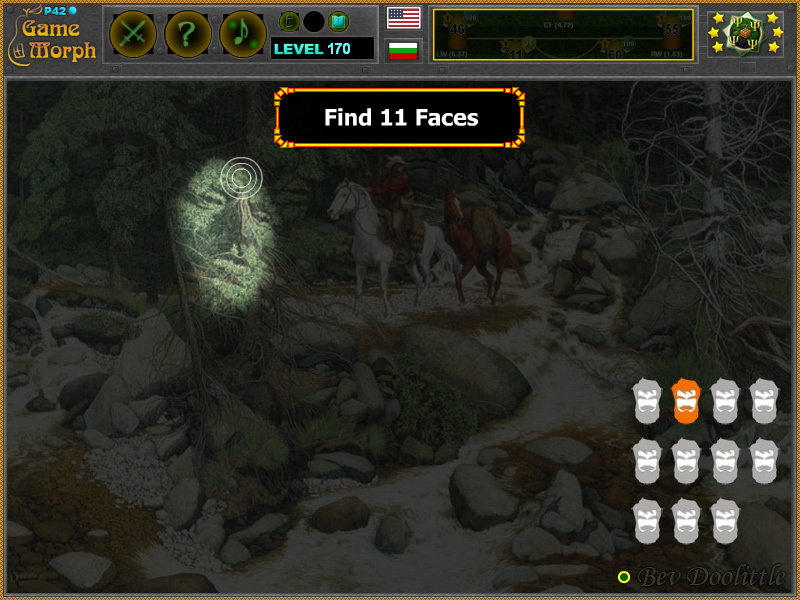 Find 11 hidden faces stalking the horseman. Fun educational psychology game, suitable for online lessons and interactive classes. Landscape of a forest and a stream. 11 faces formed by the environment. How to play The Forest Has Eyes Game. Look at the drawing from close and from a far. Then position the mouse pointer where you think you see a face. A hint on the face will appear if you position the mouse over its forehead. As well as collect one face. Find all 11 faces to win the game. Know the 11 Faces illusions and get +1 Knowledge Level. Class subject: The Forest Has Eyes Painting. The original painting of this image is by Bev Doolittle. It is a masterpiece of a Cognitive illusion. Cognitive illusions are assumed to arise by interaction with assumptions about the world, leading to "unconscious inferences", an idea first suggested in the 19th century by the German physicist and physician Hermann Helmholtz. Cognitive illusions are commonly divided into ambiguous illusions, distorting illusions, paradox illusions, or fiction illusions.